Limousines are the epitome of style and the declaration of money – if you got it, flaunt it, right? Prom-goers and big-wig executives roll around town in their own fancy limousines, but then again what about all those companies who make them and sell them and need to get them shipped somewhere? If you’re looking to transport a limousine, we can definitely help you with that, though it’s going to be a bit different than standard auto transport because a limousine is naturally longer than a standard automobile. Read on to find out more about our limousine shipping services and what you can expect when you ship yours. As limousines are longer than a typical car, they’re going to cost a bit more right off the bat because they take up more space. Some smaller limousines can fit on the back of a standard auto transport truck, though they’re more expensive because they’ll more than likely have to take up two spaces on the truck. Theoretically longer stretch limos could take up three or more spaces, though carriers don’t like to do that much because it usually isn’t worth it for carriers to fill that many slots up with a single vehicle. 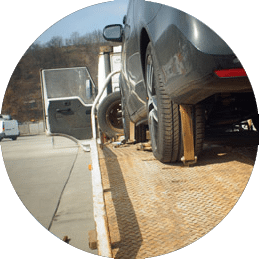 For longer limousines, flatbed shipping is usually what is recommended given the fact that flatbed transport trucks are designed to haul bigger, more awkward freight. 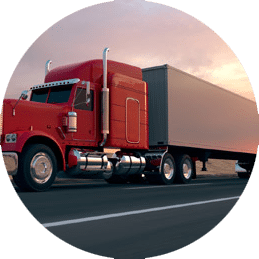 From lifted pickups to recreational vehicles to construction equipment, if it can’t fit on the back of a standard carrier or in an enclosed container, flatbed shipping is probably what it’s going to need. Many limousines could take up two spots in an enclosed carrier too, though not only will that cost double what it would for a single car, you’re going to have to pay more because that’s one less load for the carrier to pick up, and they need to be compensated for that. Can limousines be shipped? Absolutely. We here at Mercury Auto Transport have shipped our fair share of limousines in the past and we look forward to shipping yours as well. Just fill out our free online auto transport quote request form, located just to the right of this article, and you can get a free quote calculated and e-mailed to you by one of our friendly transportation representatives as well as a courtesy call to talk to you about possibly transporting your limousine. You can also call us toll-free at 800-553-1828 for a free quote, or if you have already booked your order, and speak to one of our live reps directly if you would rather do that. 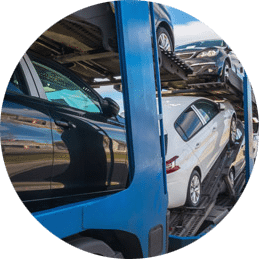 We pride ourselves on our customer service and we will be more than happy to help you with all your auto transport needs.